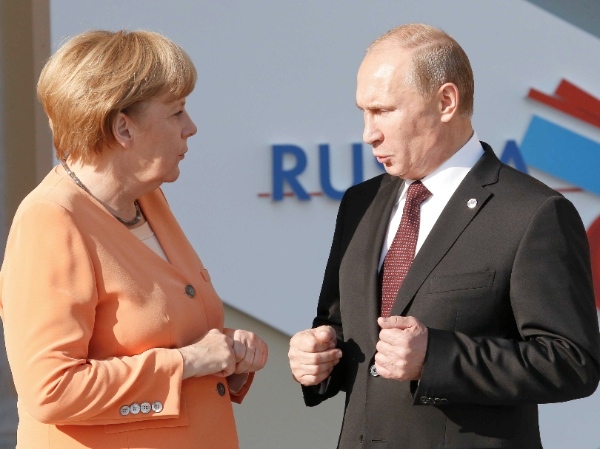 German Chancellor Angela Merkel said on Tuesday that Russia remains a member of the G8 as a response to reports saying Russia was booted out of the group amid the signing of a treaty accepting Crimea as part of the Russian territory. Earlier in the day, French Foreign Minister Laurent Fabius had reportedly said Western states agreed to suspend Russia’s G8 membership. Speaking at a joint press conference with visiting Portuguese Prime Minister Pedro Passos Coelho, Merkel stressed that so far, only plans for the G8 summit in Sochi are being suspended. “Apart from that, no decisions have been taken,” Merkel added. The G8 groups Russia and seven leading industrialized nations (G7), including the United States, Canada, France, Germany, Italy, Japan and Britain. The G7 as well as the European Council and the European Commission issued a joint statement on March 2, blaming Russia’s position on Ukraine and declaring suspension of their preparations for a G8 summit scheduled for June in the Russian resort city of Sochi.